The sum of the details improves the result of the whole. 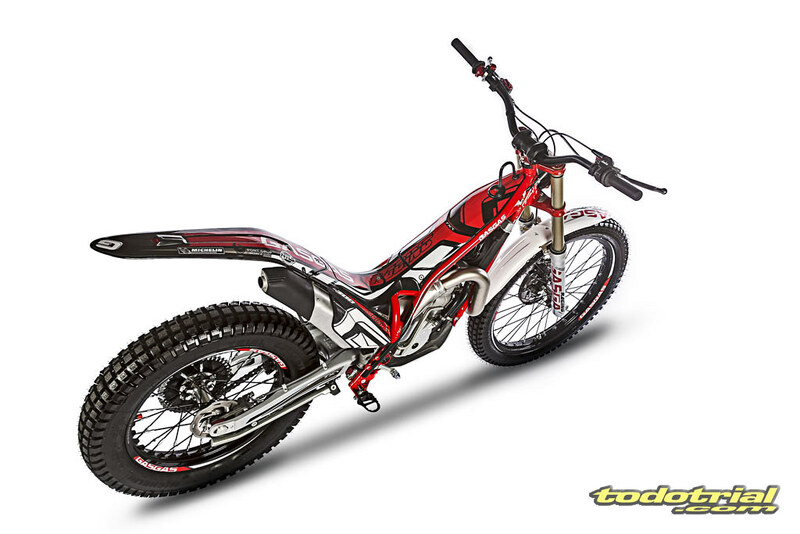 Gas Gas presents the new TXT Racing E4 range. 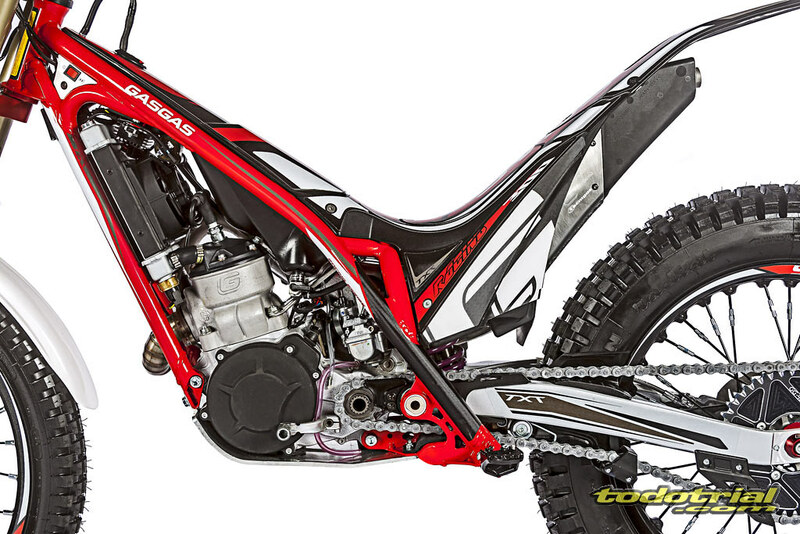 The brand's emblem bike in the competitive world of trial has gained balance, traction and control thanks to the incorporation of new components and groundbreaking settings. Details which are not immediately obvious but show up in the handling. 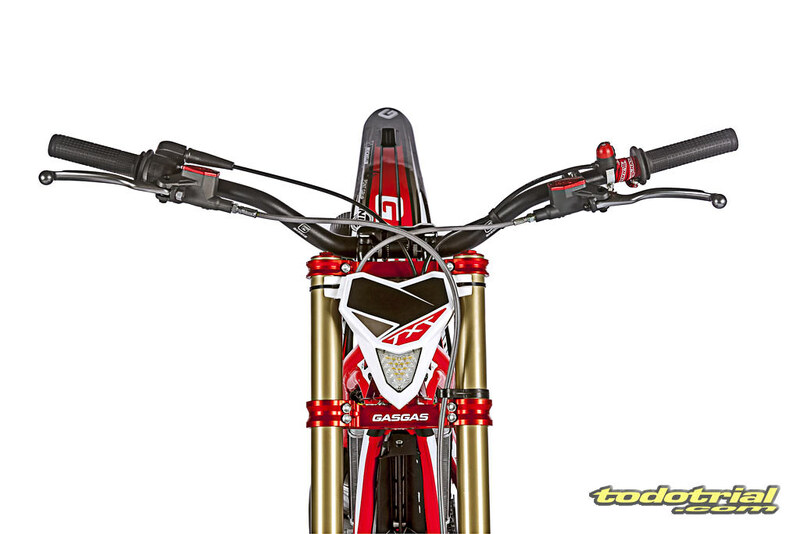 Gas Gas presents the new TXT Racing E4 rangeThe company from Girona has renewed its benchmark trial bike with the launch of the latest generation Gas Gas TXT Racing E4. The symbol of Gas Gas in the world of trial has adapted itself to today's needs and the demands of the new Euro4 environmental regulations. It has undergone substantial internal improvements aimed at nothing less than total excellence in terms of stability, traction and control. 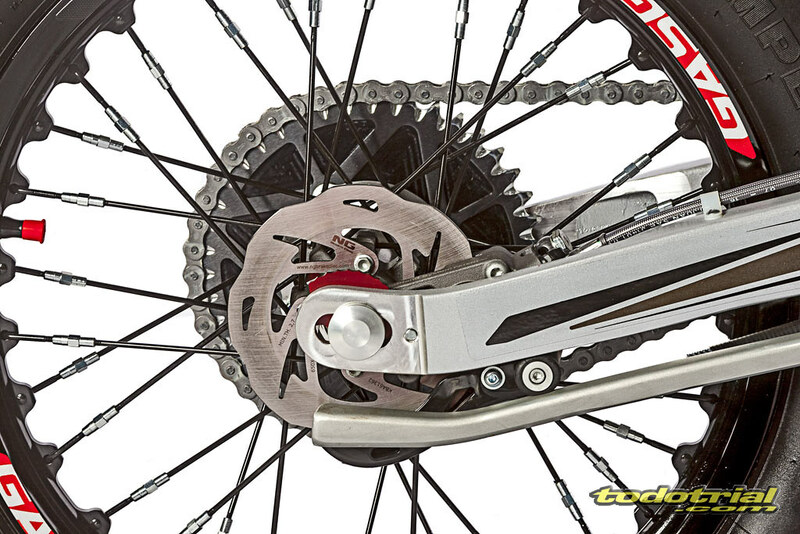 Simplicity of the elements, balance in the distribution of weights and precision in riding, perfection and success in such a demanding discipline as trial often depend on the sum and smooth operation of all the elements as a whole. 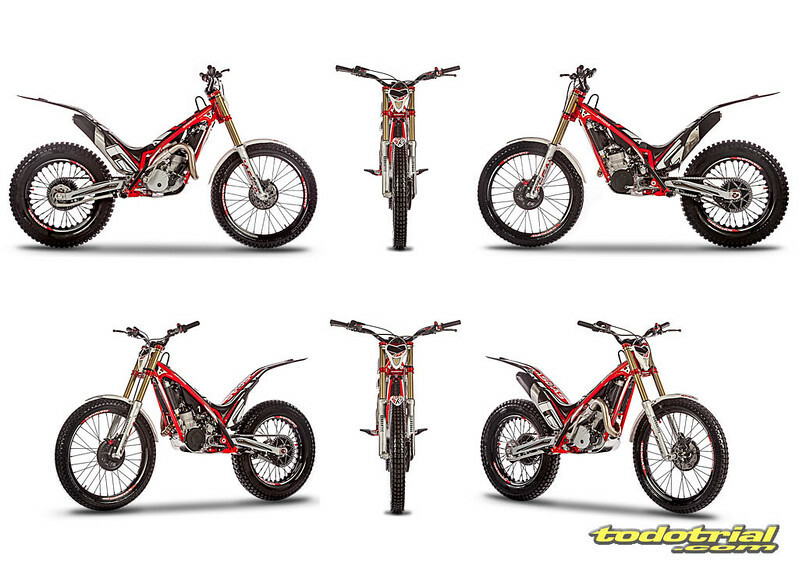 Adjustments to details and small variations which, in the case of Gas Gas and the new generation TXT Racing E4, are committed to the redesign and update of its emblematic model to keep the bike at the top of the game in the world of trial. 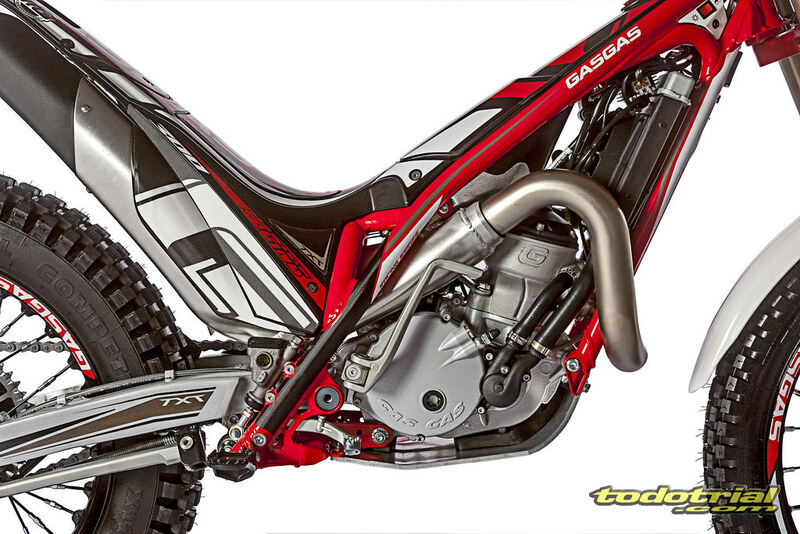 The new Gas Gas TXT Racing E4 has had changes made on the inside, some of them impossible to see with the naked eye, although noticeable in handling and behaviour, which is now more effective and pleasant. In this way, concentrating on parts of the bike which are sometimes overlooked, the new Gas Gas has undergone a redistribution of mass. 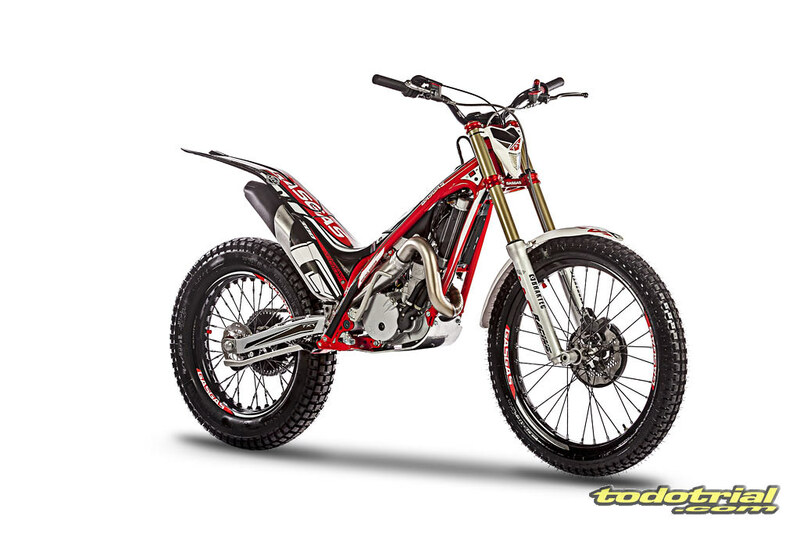 This change is aimed at increasing its stability even more to overcome the most extraordinary obstacles and to have an even tighter turning circle as needed in trial today, both indoor and outdoor. The new Gas Gas models strike just the right balance between rigidity and flexibility with its steel and chrome-molybdenum tubular frame keeping it the lightest bike on the market. 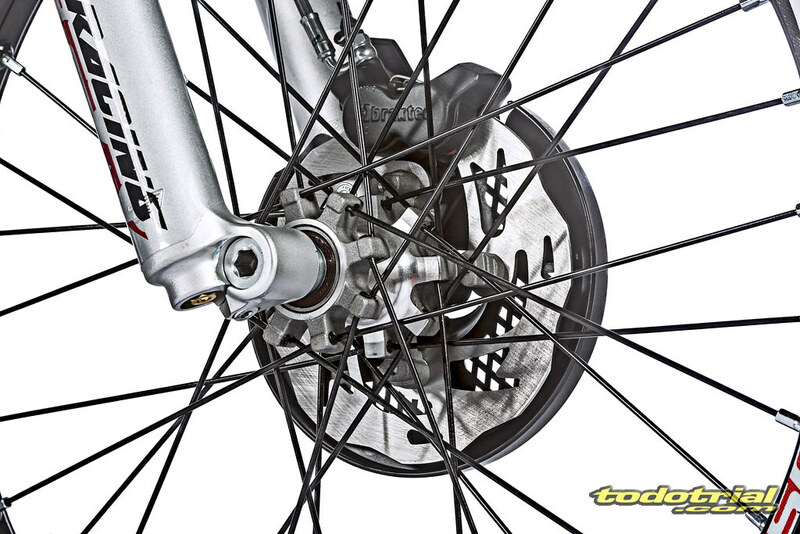 Its new weight distribution has produced a significant adjustment in the centre of gravity. 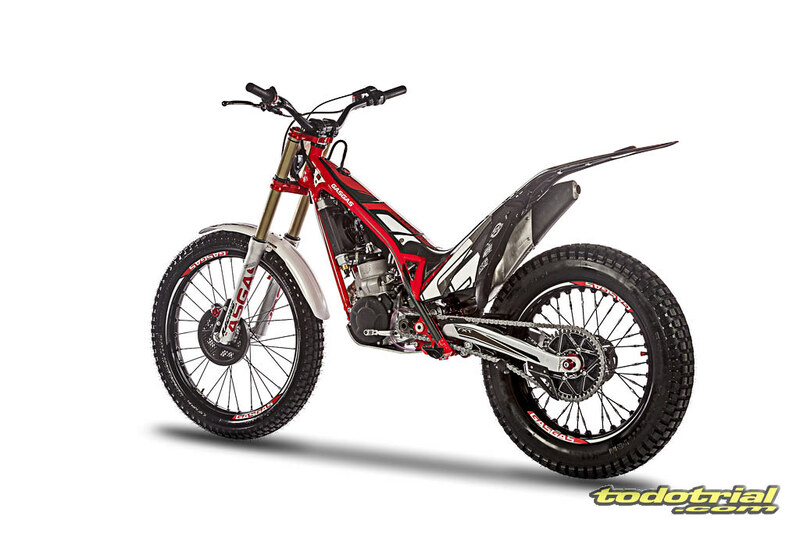 An advance which when added to the highly evolved front end and the confidence in the Michelin tyres on all kinds of terrain bring about even greater stability in this latest incarnation of the Gas Gas TXT Racing E4. 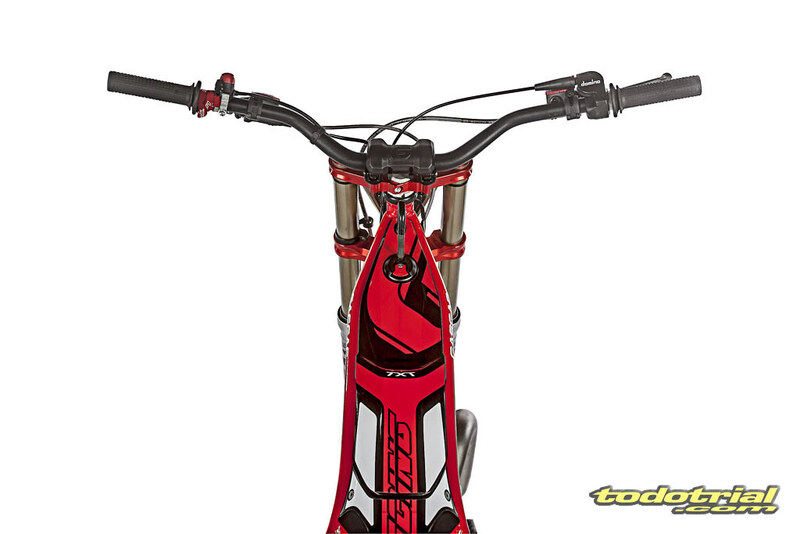 Highlights reinforced by the R+D department of the Girona based company are focussed on pampering the adjustment system of the suspension system. This has been renovated in the front end with a new spring and new setting in the Tech forks. The rear suspension incorporates the quality and reliability of the Reiger 2V shock absorber, with a new setting and rubber stop. 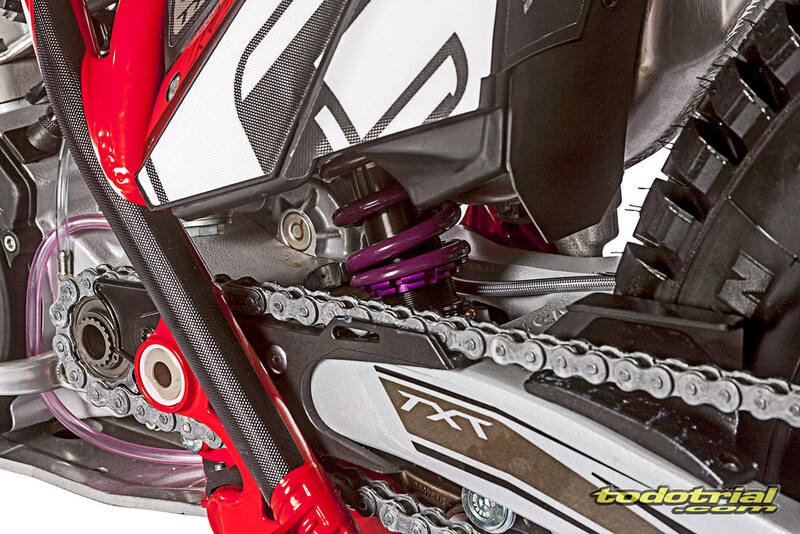 Other changes bringing about greater stability to the whole of the new Gas Gas TXT Racing E4, thanks to the incorporation of a modified clutch cable, cover and spring, with exquisite feeling, so smooth and yet rugged and with better traction. Manufactured with two-stroke engines in 125, 250, 280 and 300 CC, these new versions have a black cylinder head and stay in tune to performance with the Kehin carburettor and twin spark ignition system. 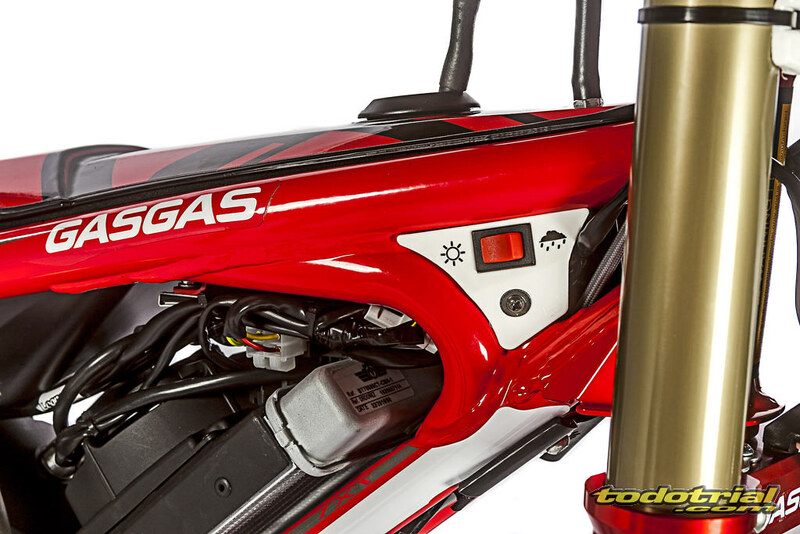 Designed for a wide spectrum of trial riders at all levels, the new Gas Gas TXT Racing E4 bikes carry a new led headlight, with new attachment points, capable of shining bright with 600 lumens. This is an incredibly practical new feature for when after an event or a training session, night falls and we still have to get home or back to the car to load our bike onto the trailer. 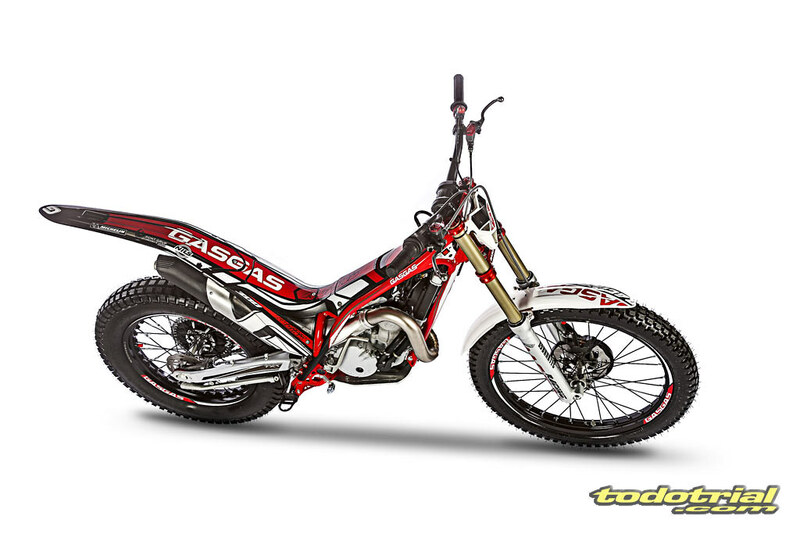 In accordance to the racing style, all the Gas Gas TXT Racing E4 models have a daring new look, where black predominates over the brand's emblematic red and white which has been with us for over three decades of its history. 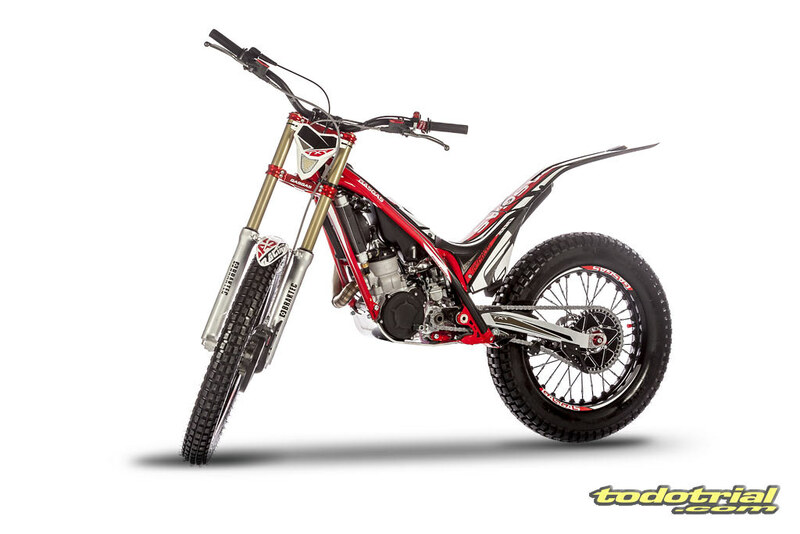 A renovation to the inside which is also reflected on the outside of the flagship from the factory in Salt: the new Gas Gas TXT Racing E4, the very essence of balance, control and feeling in trial.